Allen Temple has a rich and interesting history, which can be traced back to the Reconstruction era. The life of this church has always provided an inspiring testament to God’s grace and sovereignty. 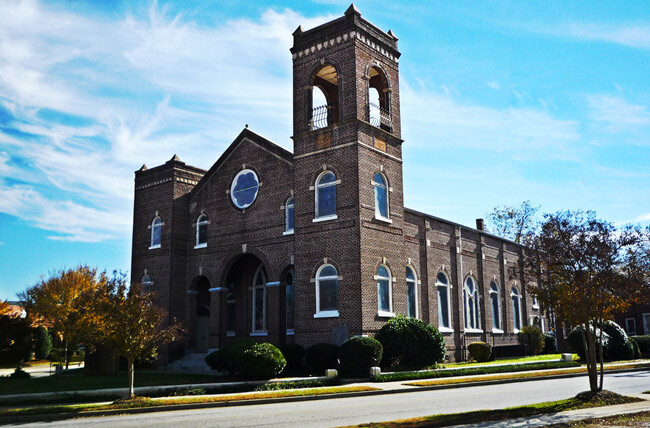 Currently located in the historic West End District of Greenville, S.C., the church is now listed on the National Register of Historic Places and continues to thrive today under the diligent leadership of Reverend James E. Speed Sr. The first attempt to organize an A.M.E. Church in Greenville began in 1871. A small group held services in an old building known as the Methodist Church, once located on the corner of Coffee and Church streets. Reverend William Beckett served as pastor. They hadn’t been there long when white trustees evicted them, claiming the location “wasn’t ideal” for a “colored church”. Four years later in 1875, under the leadership of Reverend S.T. Sinclair, an AME Mission was formed with 13 members. The group rented an old blacksmith’s shop, the site of A&W.C. Railroad Station. When Reverend James T. Baker became pastor, the mission began having services at Mattoon Presbyterian Church. Mattoon’s pastor, Reverend B.R. McDowell, allowed the mission to share the two-story building. The two church groups held separate services there for a number of years until the property was sold. However, the A.M.E. members were later able to purchase the property for themselves. 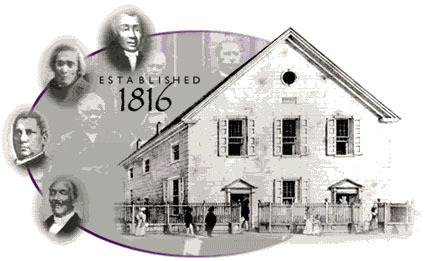 On February 2, 1881, Reverend Baker officially established the mission’s name as Allen Chapel A.M.E. Church. The two-story building was eventually sold and the current church site –bordered by Vardry Street, Markley Street and Green Avenue—was purchased. The church continued to grow under the leadership of several ministers, one of which was the Reverend E.H. Croix, who changed the name from Allen Chapel to Allen Temple. In November 1927, plans were in the works to build a new and larger church. Two years later, those plans became a reality. Several outreach programs were established soon after including a youth league and a youth choir. The ministries of Allen Temple continued to flourish under the leadership of Reverend Franklin Dreher. Reverend Dreher, who arrived in November 1947, was pastor of Allen Temple for 13 years. He built the Sunday school facility which was named in his honor. The building housed a nursery and kindergarten program. Allen Temple was the first black church in Greenville to offer such services. Over the years, other initiatives were put in place such as a stewardship commission and a central treasury organized by Reverend J.A. Sabb. When Reverend Willie Jefferson succeeded Reverend Sabb, a soup kitchen was started. The soup kitchen ministry, which is still in effect today, has fed thousands of Greenville residents and families physically, as well as spiritually. In 1988, Reverend Caesar R. Richburg became pastor of Allen Temple. He oversaw several renovations of the church and most notably, the building of a community development center just across the street. The spacious facility, which opened in 2002, is still home to many important community programs and services including a summer enrichment camp, a mentoring program, and a minority business agency. In 2006, Reverend Samuel L. McPherson was appointed pastor. He made impressive strides in outreach ministries, established a special youth-led worship service every third Sunday and a noon time Bible Study every Wednesday and created the Allen Temple Church Newsletter. Some of these ministries are still thriving today. In 2008, the Reverend James E. Speed Sr. came back to his native Greenville to pastor Allen Temple, his home church. Reverend Speed continues to oversee the growth of the popular Bible Study ministries and other outreach efforts. Bible Study is currently being held at noon and 6:30pm for the convenience of the members. A Bus Ministry has been added, providing transportation for members needing it.